Sun.-Thu. 11 a.m.-10 p.m.; Fri.-Sat. 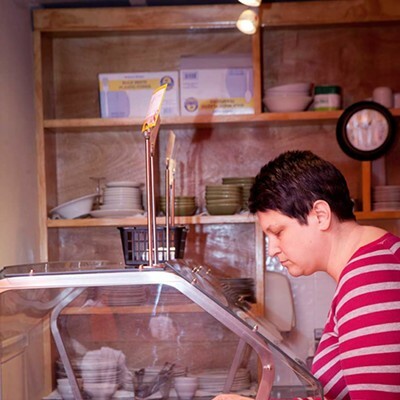 11 a.m.-11 p.m.
Atwood Street, where town and gown meet for inexpensive food from foreign lands, seems to observe a special Law of Conservation of Indian Restaurants: If one closes, another will surely replace it. So when the venerable India Garden shut down a few months ago, it was hardly surprising to spy a new sign not long thereafter heralding the establishment of Bangal Kebab, this time in the smaller, more intimate, former Tokyo-Burma space down the block. Decor is spare, to say the least, consisting mainly of turmeric-orange paint. Tall-back booths seem a little large for the tiny space, but once we were seated in one, we had the pleasingly cozy feeling of being ensconced in our own private dining cabin. Service was prompt and friendly, and our server was especially solicitous of our children, splitting their sweet lassi and serving them a surprise platter of hard candy — before their dinner! Bangal Kebab's menu isn't limited to kebabs, and unlike the menus at many other newer Indian establishments, it isn't region-specific. 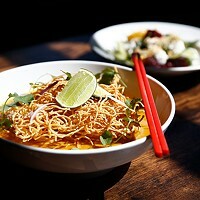 But nor is it the dizzying sub-continental survey that has stymied us at other restaurants. 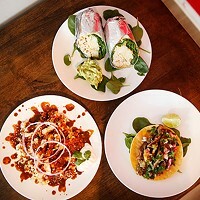 The menu consists of a fairly typical Northern Indian selection, updated to include items recently "discovered" by Indian-food-loving Pittsburghers, such as chicken and meat samosas and that nacho-like street snack, chaat. Actually, Bangal's aloo chana chaat did not resemble nachos as much as a chunky potato salad. Chick peas and chopped cucumber and onion were also part of the mix, while a cold dressing of spicy tamarind sauce cut with cool, creamy yogurt bound it all together. Crunchy puffs of fried dough played the role of croutons, garnishing rather than grounding this substantial, satisfying dish. Paneer "fingers" were two thin discs of fresh cheese sandwiched around a smear of cilantro chutney, then battered, fried, cut into long wedges and served atop a little green salad. The layer of chutney was thin enough to be subtle, but bold enough not to get lost in this fried cheese fritter. 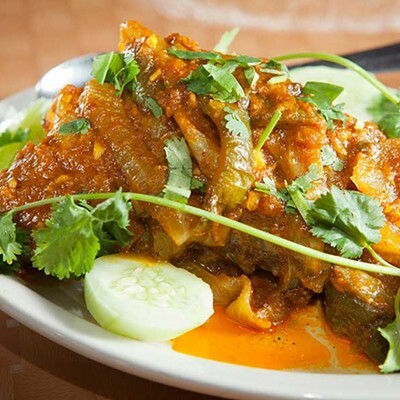 The entrée pages of the menu consist of several dishes each in the chicken, seafood, and lamb and mutton categories; a sizable vegetarian list; a biryani corresponding to each of these main ingredients; and tandoor specialties. 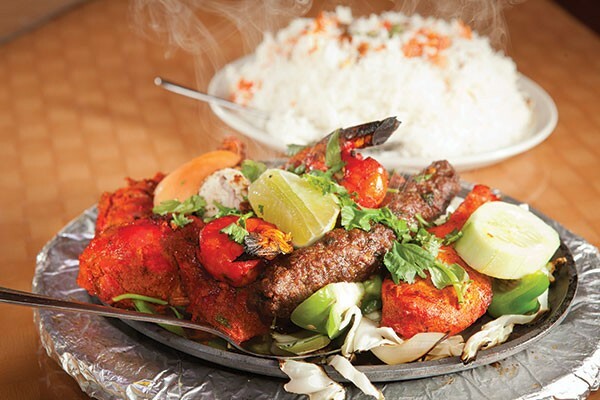 A final section, "Fresh off the Grill," features chicken tawook (marinated, grilled chicken chunks) and lamb kebab alongside burgers and gyros for those still shy of authentic Indian food. 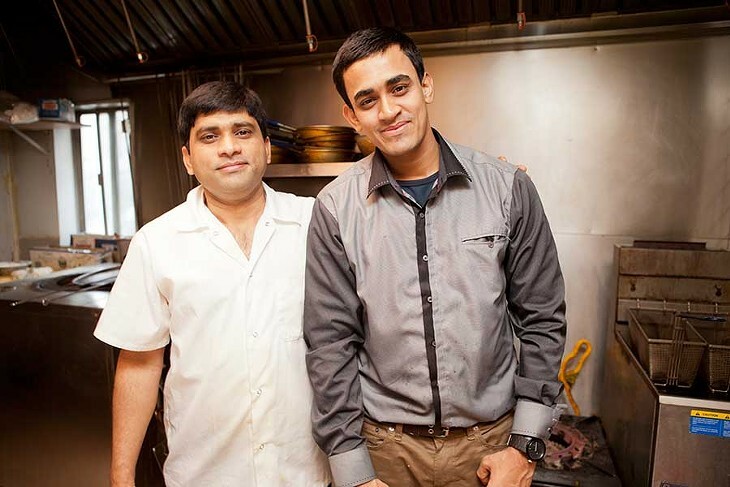 We're not shy, but we did order up some old friends and favorites, lamb biryani and chana masala. The latter would be a good dish to introduce someone to Indian food, actually; its combination of chick peas steamed with tomatoes, ginger, garlic and onions is deeply flavorful but not especially exotic. Though the flavors of Indian spices are present, they don't dominate the dish, but serve to add flavor to the chick peas' texture. Bangal's version was less tomatoe-y than some we've had, and dense with chick peas in a thick, subtly spicy gravy. Lamb biryani featured fluffy, nutty basmati rice, studded with plenty of tender lamb and awakened with the flavors of chilis, cloves and warm spices. It was a good dish for a cold night. 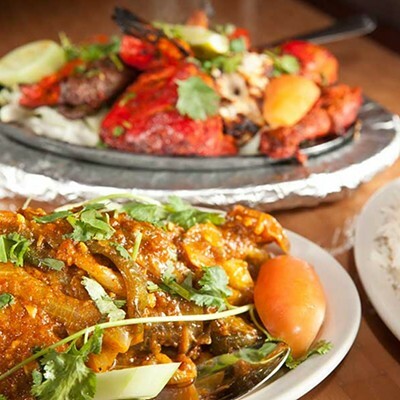 Chicken makhni was a beguiling dish of tandoori chicken, cut from the bone and simmered in a rosy, creamy tomato sauce. Its creaminess, traditionally derived from butter, yogurt and cream, was complex, both tangy and slightly sweet, and slightly chunky with coarsely puréed tomatoes. Chicken tawook was grilled on a skewer, then served on a sizzling platter; the breast meat, green peppers and onions were all flavored with a simple, lemony marinade that took on extra depth thanks to the heat. The chicken could have been a tad moister, but it was far from dried out, and the charred edges were delicious. 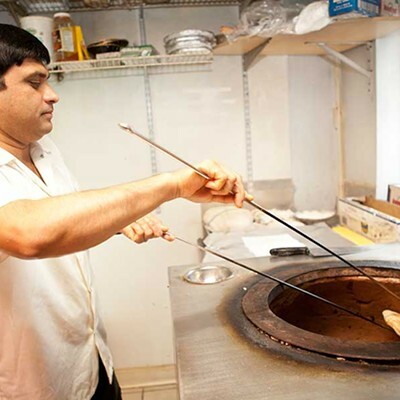 From its tandoor, Bangal Kebab also features an unusually large selection of Indian breads. Naan, kulcha, roti, poori or paratha can be had plain or with a variety of toppings (garlic, onions) and fillings (peshwari naan is stuffed with nuts, raisins, cherries and herbs; aloo paratha with mildly spiced mashed potatoes). 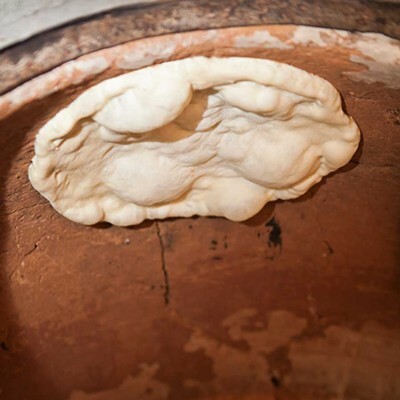 The basic naan flatbread was excellent: slightly buttery outside, soft and flaky inside, and steaming hot when torn. 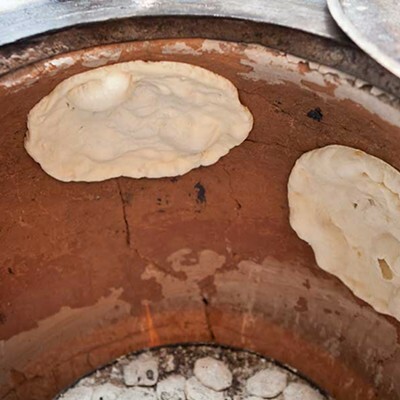 We also like the Bombay naan, stuffed with tiny bits or onion, pepper and paneer cheese. 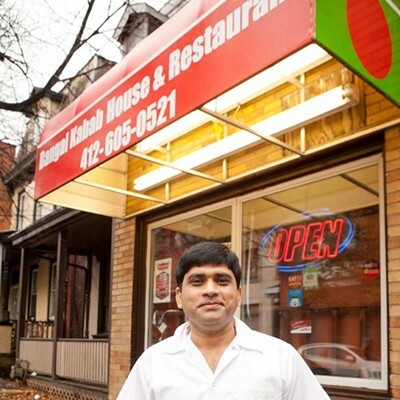 With a menu that is accessible in both flavor and price point, Bangal Kebab is a worthy representative of Indian cuisine on Atwood Street.